Bill Gates is rallying behind school quality in developing nations with a push for more assessment data, a new initiative that links the Microsoft co-founder's signature U.S. education priorities with his more prominent global philanthropy work. The Bill and Melinda Gates Foundation as the world's largest philanthropy issued its latest "Goalkeepers" report on Tuesday, urging for more comparable student assessment data worldwide and help getting girls through their schooling. "The world, in education, focused a lot on access, which is super important, and in most countries made huge progress on gender-equal access, but now there needs to be a focus on quality," Gates said in a press call on September 11. 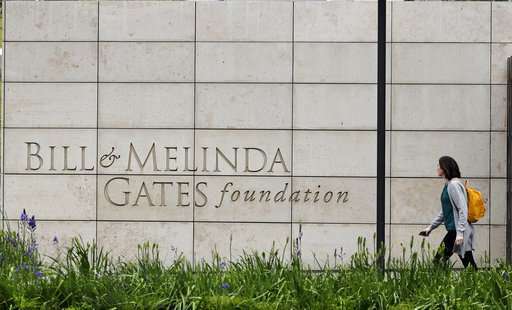 The majority of the Gates foundation's resources are dedicated to global health and development, with much of that work rooted in deep poverty issues in Africa, from tackling malaria, HIV and contraceptives to boosting crop production and financial services. In the U.S., Gates and his wife focus on reshaping America's struggling school systems. This year marks new intertwining priorities for Gates' domestic and international work as it focuses on global education quality while also broadening its U.S. agenda to look at overarching poverty issues. In June, Gates announced a new initiative that would focus on "global education learning," committing $68 million over the next four years to help improve primary and secondary education in India and African countries. And in May, the foundation also committed to delving deeper into systemic poverty in the U.S. by looking at both defined and abstract challenges such as racism and housing. The foundation said the U.S. and global education work are both rooted in their belief that a quality education can best uplift those in poverty, though its two programs will operate separately because the challenges and solutions are different. Gates said it will support new data systems that will make it possible to compare student outcomes across the globe. Gates said last year that the first step to measuring education quality will be to develop better "cross-national assessments," particularly for math and reading among younger students. Its new report cites UNESCO's estimates that over 600 million students are not minimally proficient, lamenting that few countries collect enough data points that would identify where their "learning crisis" lies. The Gates foundation also said it wants to work with local school systems to find better, cost-effective ways to teach and learn, and fight the barriers that keep girls from completing their secondary education. These new goals ultimately align with Gates' strategy on how to improve school. Back home in the U.S., Gates has long defined his local philanthropy legacy by deploying data to measure what kids are learning and how teachers are teaching. His foundation has supported the Common Core academic standards, new teacher evaluation policies, smaller and charter schools, library technology access, and lately, networks of schools working together on like-challenges for the poor and minority students that are continuously left behind. Yet that education agenda has seen little success in terms of improving students academically in America. The foundation has also been criticized for its drive for student testing data and outsized influence on school policy nationally. Gates in solidifying his new work in global learning describes improving health and education in Africa as "human capital" investments that will ultimately benefit their economies, with the potential to increase productivity and even curb population growth as a result. Gates also warned that without this concentrated effort to uplift African youth that the world's collective work fighting poverty around the continent could stall. 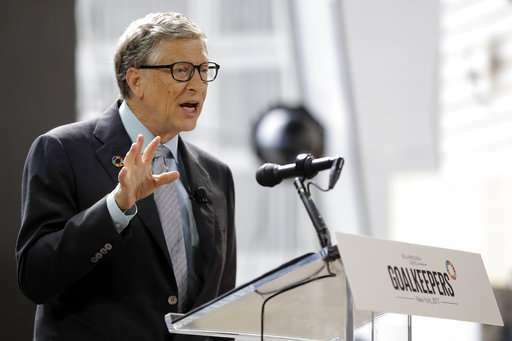 "The particular challenge of population growth in Africa leads to a simple idea that the world should help Africa invest in human capital, both in the health and education of this young generation coming up in Africa," Gates said.